Katy A.D. is a self-taught artist originally from Atlanta, Georgia. 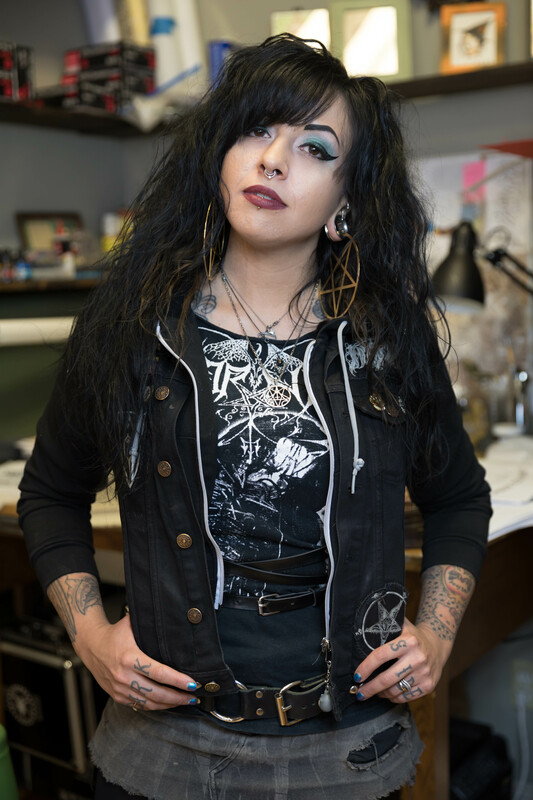 She first got involved in tattoo art and the body art industry in her home town before moving to Philadelphia and taking a detour to travel the world working with heavy metal bands. She began working at Hunter Gatherer in 2016 and started her apprenticeship in 2018. She is interested in working with illustrative, anime, cute/kawaii, punk, and cartoon/pop-art styles. She offers a fully vegan tattoo process on request.